Genuine DR-241CL Drum Unit2 (4 colours; black/cyan/magenta/yellow) Please note: This is the Drum Unit, not the laser toner. The Brother MFC 9330CDW is an ideal choice for the small business looking for a fast, reliable digital colour all in one printer with duplex printing. This multifunction device is easy to operate and comes with a time-saving feature that helps increase productivity and reduces the overall running cost of the printer. It also offers wireless printing from the mobile devices such as Apple’s AirPrint, Google Cloud Print, Brother’s iPrint&Scan, Cortado Workplace and Wi-Fi Direct. The Brother MFC-9330CDW comes with an OCR software, offering conversion of scanned documents into editable text. It is compatible with high capacity Brother MFC 9330CDW toner cartridges which help in reducing the cost per copy. The Brother MFC-9330CDW weighs approx. 51.1 pounds and measures 16.1 x 19.0 x 16.1 inches, giving it a perfectly-square footprint. It has a 3.7’’ colour touchscreen display with simple and effective menu system, offering access to the user-configurable shortcuts with a quick swipe to the side. It supports built-in wireless and ethernet network interfaces to connect over a network. The Brother MFC-9330CDW also supports ADF with paper handling capacity up to 35 sheets. It produces crisp black and high-impact colour business documents with print speed up to 23 ppm having a print resolution up to 600 x 2400 dpi resolution using Brother's Digital LED print technology. The device supports high-quality scanning having scan resolution up to 19,200 x 19,200 dpi with a variety of "scan-to" features. It has two paper trays, the input tray can handle up to 250 sheets of paper and the output bin can store up to 100 sheets of papers. Brother designed the MFC-9330CDW to help small businesses save money and time while printing by offering time-saving and cost-saving features which include automatic duplexing, high capacity replacement colour toners, secure function lock feature, deep sleep mode and auto-off mode. However, the MFC-9330CDW could be better for creative environments if it supported standards such as PictBridge. Does your Brother MFC 9330CDW printer generating poor prints? To get the best print quality, we suggest using recommended paper. Make sure you use paper that meet general specifications. Then check that the drum units and Brother MFC 9330CDW toner cartridges are installed correctly. Make sure that the Toner Save mode is off in the Touchscreen or the printer driver. Identify the colour cartridge and/or the drum which is causing the problem and install a new Brother MFC 9330CDW toner cartridge and/or a new drum unit. Installing a new drum unit or cartridge would solve your colour printout problem. Q. What is the difference between a Drum Unit and a Toner Cartridge? A. The toner cartridge and drum unit are two different consumables used in the Brother MFC 9330CDW printer. This machine requires both consumables to be used at the same time. A toner cartridge contains powder (toner) that is used for creating letters and images. You need to replace the toner cartridge when the toner is running low or the print quality becomes poor because of toner deterioration. The drum unit is used to transfer the toner to the paper. The laser printer puts the toner on the roller which is also called "The photosensitive drum" inside the drum unit. It then prints letters and images by fixing the toner to the paper by heat and pressure. To keep good print quality, the Brother machine detects the quality deterioration of the drum unit. Q. Do you offer any high capacity toner cartridges for Brother MFC 9330CDW printer? A. Yes, we have a set of high capacity Brother MFC 9330CDW toner cartridges available for Brother MFC 9330CDW. Q. How much power does the Brother MFC 9330CDW printer consume? A. It consumes 380 Watts during printing, 70 Watts on standby and less than 7.5 Watts in sleep mode. Q. Does the Brother MFC 9330CDW printer meet the ENERGY STAR guidelines? A. Yes, Brother MFC 9330CDW meets the ENERGY STAR guidelines for efficiency. Q. Can the Brother MFC 9330CDW printer be used to print on CDs and DVDs? A. Unfortunately, the Brother MFC 9330CDW printer does not provide the functionality to print on CDs and DVDs. Q. What modes of payment will be accepted for purchasing Brother MFC 9330CDW toner cartridges from your website? A. You can make your payment using Laser Card, American Express, MasterCard or Visa credit card, Maestro, Switch, Solo or Delta debit card for Brother MFC 9330CDW toner cartridges. Q. What is the maximum number of copies can the Brother MFC 9330CDW printer make at a time? A. The Brother MFC 9330CDW printer can print a maximum of 99 pages at a time. Q. Are Brother MFC 9330CDW toner cartridges replaceable individually? What is the difference in buying toner cartridges individually and in multipacks? A. Yes, Brother MFC 9330CDW printers have a 4 cartridge system, meaning that you only have to replace the toner cartridge of the colour which runs out. The difference between buying individual toner cartridges and buying multipacks containing toner cartridges of all colours is that multipacks are way cheaper as compared to buying all the toner cartridge colours individually, thus encouraging long term savings. Q. How often will I need to change the drum units of my Brother MFC 9330CDW printer? A. The drum units in your printer will be required to be changed approximately after 15,000 pages are printer by each drum. You will be notified by your printer when the drum units are required to be replaced. Q. How do I replace empty Brother MFC 9330CDW toner cartridges with new ones? Open the top cover until it locks into position. Remove the toner cartridge and drum unit assembly of the colour that needs to be replaced. Unpack and hold the toner cartridge and gently shake it left and right to evenly spread the toner inside the cartridge. Put the new toner cartridge firmly into the drum unit till you hear it lock. Slide the toner cartridge and drum unit assembly into the machine. Make sure you match the cartridge colour to that on the machine. Close the top cover of the machine. Q. What types of paper can I use with Brother MFC 9330CDW printers? A. You can use plain paper, bond paper, recycled paper, labels, envelopes and glossy paper with Brother MFC 9330CDW printers to print on. Q. Do all Brother MFC 9330CDW toner cartridges come with a warranty? A. Yes, all our toner cartridges are warranted to be free from any defects. They are manufactured and tested to work well with your printer. In case you face a problem with any of our products, please contact us on 048 308332211 or email us on info@printerinkcartridges.ie regarding the issue within 30 days of receiving your product. Q. Does the Brother MFC 9330CDW Printer support card printing with paper as light as 200 gsm? What are the types of paper thickness it supports? Please explain. Thanks. A. The paper thickness (plain and recycled) for standard tray ranges between 60 and 105gsm. In the manual feed slot, thickness for glossy and bond paper ranges between 60 and 163gsm. So, unfortunately Brother MFC 9330CDW does not support printing on a card with thickness 200gsm. Q. I have an Apple Mac OS X 10.6.8 PC. Is Brother MFC 9330CDW printer compatible with my PC? A. Yes. Here is a list of Macintosh operating systems compatible with Brother MFC 9330CDW : Mac OS X 10.6.8, Mac OS 10.7, Mac OS 10.8, Mac OS X 10.12 and Mac OS X 10.13. Q. Do Brother MFC 9330CDW toner cartridges differ from Brother ink cartridges in terms of print quality? A. Not exactly. It actually depends on both the printer as well as cartridges. There are some Brother inkjet models that provide excellent print quality compared to laser printers. However, in general the laser printers (or the Brother MFC 9330CDW toner cartridges for that matter) provide better print quality than inkjet printers and ink cartridges. Q. Are Brother MFC 9330CDW toner cartridges expensive compared to Brother ink cartridges? A. If you consider the running cost of both the cartridges, then ink cartridges would prove to be more expensive in the long run. The Brother MFC 9330CDW toner cartridges are slightly more expensive initially when you buy them. But they tend to last longer and add to affordability and cost efficiency. Q. Would you please explain what is Brother iPrint&Scan? A Sure. Brother printers offer a cost free application program that allows you to print and scan using iOS devices such as iPhone, iPad and iPod touch, Android and Windows phone without connecting to a computer. You just need to connect your printer and the smartphone with a wireless network and you are good to go. Q. A message displayed up on my PC saying that drum needs to be replaced. I have a Brother MFC 9330CDW Printer. Will changing the Brother MFC 9330CDW toner cartridges would do or do I need to change the drum? If drum needs to be changed, from where can I buy them? A. Yes, this message happened in light of the fact that your drum unit has terminated or say expired. There is no need to change cartridges since it is a message to alert you to change the drums only. This drum unit incorporates each of the four hues black, cyan, magenta and yellow drum segments for your laser printer. You can purchase the Brother MFC 9330CDW drum units from the beneath specified connection: https://printerinkcartridges.ie/brother-dr-241cl-drum-units. Q. I am willing to buy Brother MFC 9330CDW printer for my magazine photos. The amount of prints would be really abundant. Does its cartridge yield good amount of prints or should I change my mind? A. 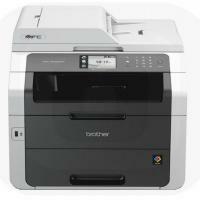 Brother MFC 9330CDW is a high quality printer which yields professional quality photos. The compatible Brother MFC 9330CDW toner cartridges we provide prints good amount of prints. On a moderate usage the black cartridge yields 2500 prints while the coloured ones i.e cyan, yellow and magenta yield 1400 prints. This is an estimate case when there is 5% of print coverage on an A4 page. Q. How long would it take for you to deliver Brother MFC 9330CDW toner cartridges? I wanted to order the multipack of 4 cartridges and wanted to know the estimated time of the delivery ? A. Delivery is done by third party courier services i.e. fastway couriers. It usually takes 1-2 working days when the item is in stock and the delivery traffic is less. The delivery time may vary upon the workload of our courier partners, though they have had a good record of punctual delivery. In the time of heavy work load the delivery might take 2-3 days but we assure you it won’t take any longer. For assistance regarding the same you can contact our customer care services on +44(0)28 308 33221 or drop a mail to us at info@printerinkcartridges.ie . Q. Your site states the name of Brother MFC 9330CDW toner cartridges as TN241 & TN245 , but the manual of printer claims TN221 to be the compatible cartridges. Will your cartridges be compatible with my Brother MFC 9330CDW printer? A. The names are codes for colors. Different companies tend to refer their product in a different manner. We assure you that our compatible Brother MFC 9330CDW toner cartridges available on the following link : https://printerinkcartridges.ie/brother-inkjet-cartridges/brother-multifunctional-mfc-series/brother-mfc-9330cdw , is compatible with your printer. We guarantee to accept returns in case of compatibility issues. Q. Is there any expiry dates for Brother MFC 9330CDW toner cartridges? A. All of our cartridges have an expiry of 12 months from the date of purchase. You can use these cartridges anytime during this period, provided they are stored under correct conditions in cool and dry place. It is always advisable to use the cartridges before its expiry date. There is no guarantee of performance after the expiry date has been crossed. Q. What is the various connections provided by Brother MFC 9330CDW printer for letting printer use various sources and devices? A. The Brother MFC 9330CDW has flexible connectivity for various ways to print. Connectivity on built-in wireless and Ethernet network interfaces to install on a wired or wireless network or connect locally to a single computer via USB and also Mobile Device Printing i.e. Wireless printing from your mobile device via AirPrint, Google, Cloud Print, Brother iPrint & Scan, Cortado Workplace and Wi-Fi Direct. It also has USB Direct Interface connection which enables to Print from or scan to your USB flash memory drive.